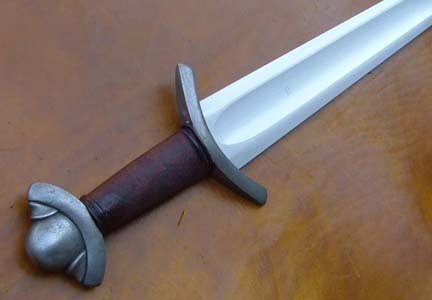 We have just completed the first prototype of the Knecht Mark II - a redesign of our popular Kriegsmesser model. This new version has a larger, flared lug and an enclosed tang. 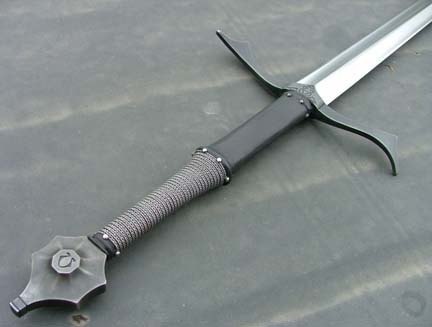 The "Alpha-Omega Sword" from the upcoming film 2012: Devolution. A project Lars has been working on. The blade is deeply hollow-ground. 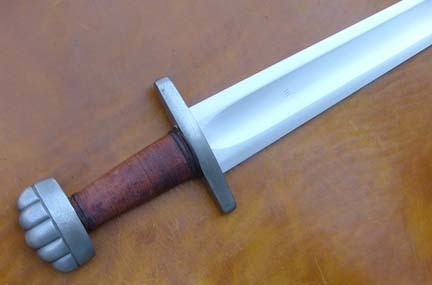 Lars carved the hilt components in wax and assembled the sword, Joe Waites ground the blade. The grip is leather with a braided-half-wire grip and decorative pins. 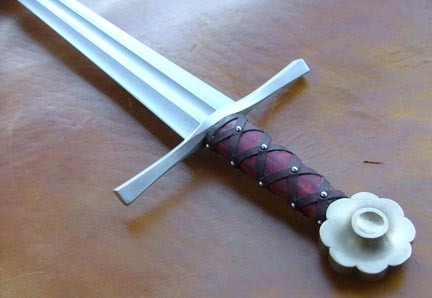 The sword is available for advance reservations (Special Introductory Price: $1,700 plus s/h). 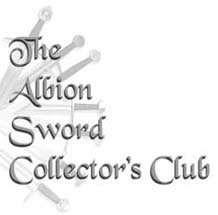 See more photos on the Albion Swords Ltd LLC Facebook page. 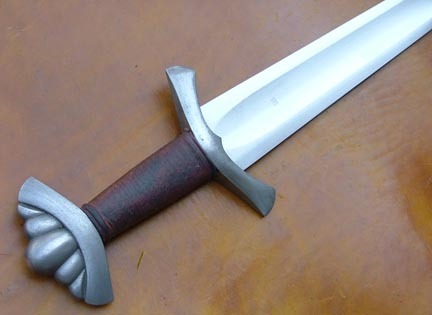 Swords specifically designed for period combat reenactment and stage combat. Read more here. 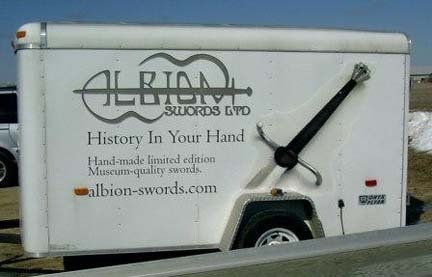 We have just completed the prototype of an amazing new sword. Go here for more details. 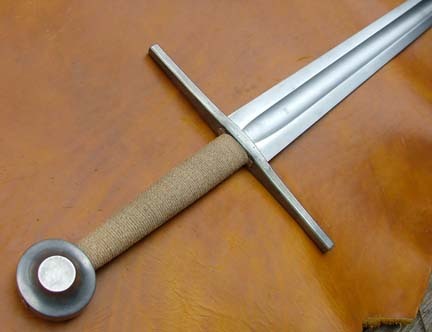 We have just completed the prototype of the Vigil Medieval Sword. We just completed the prototype for the Maestro Line Epée de Guerre. Albion is helping sponsor the '09 tour of one of our favorite heavy metal bands, Luna Mortis. 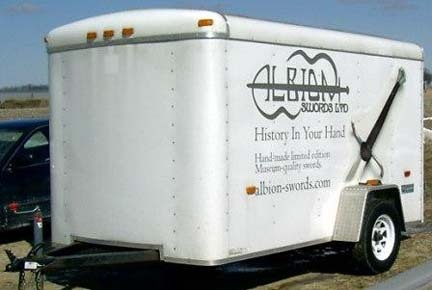 LM will be featuring an advertisement for Albion on the side of their equipment trailer during their tour. .Go here to read more about Luna Mortis and their '09 tour dates. 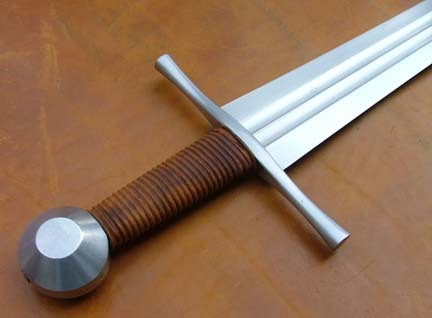 Peter just completed the concept artwork for the Vigil Type X Medieval Sword, now available for advance reservations. 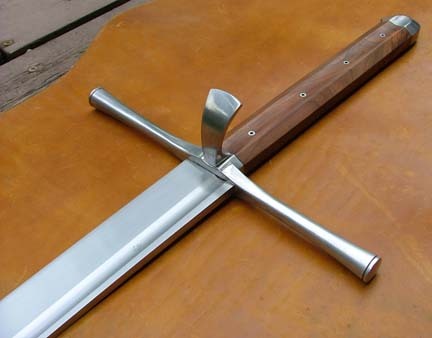 We have just completed the prototype of the Chevalier Medieval Sword.